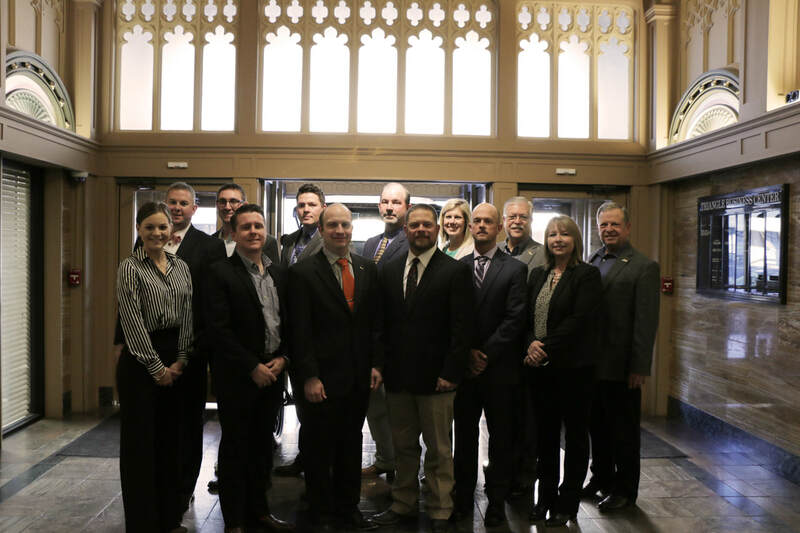 Developed by Triangle Cooperative Service Company and OACC, the Agribusiness Leadership Academy (ALA) serves as an opportunity to recognize and develop emerging leaders within the agricultural cooperative industry. Throughout the Academy, students will further develop the essential skills necessary to run a successful agribusiness. As a leader, it is important to understand our personality type and through processes in order to properly lead an effective team. Session I allows participants to explore their personality type and leadership styles through self assessment—learning how they work with others, how to lead a team and how to navigate leadership. After seminars on cooperative foundations and law and a visit to the Oklahoma State Capitol, Session III features a Q&A with experienced co-op professionals. Academy participants will learn from those who were once in their shoes by hearing first-hand accounts on how they navigated through issues and climbed the ladder to become successful leaders of their perspective companies. Participants show-off the culmination of knowledge they gained from the Academy through Capstone project presentations within this session. They then celebrate their hard-work during a dinner and banquet at ALA Graduation, hosted by Triangle Cooperative Service Company and OACC. Joined by cooperative accountants and other industry professionals, Session II takes a comprehensive look into accounting and finance. You will gain hands-on experience in exploring a balance sheet with a twist and will dive into specialty financing, loans and leasing. During Session IV, the Academy dives into strategic human resources, talent development and succession planning. With a focus on strategy, this session develops the key components of setting-up a cooperative for success.